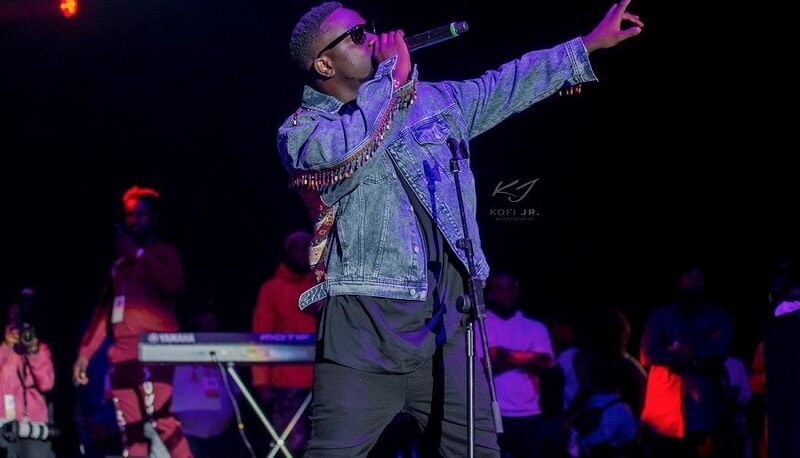 Sarkodie’s ‘Can’t Let You‘ is the biggest song on urban radio in Ghana for the second consecutive week. 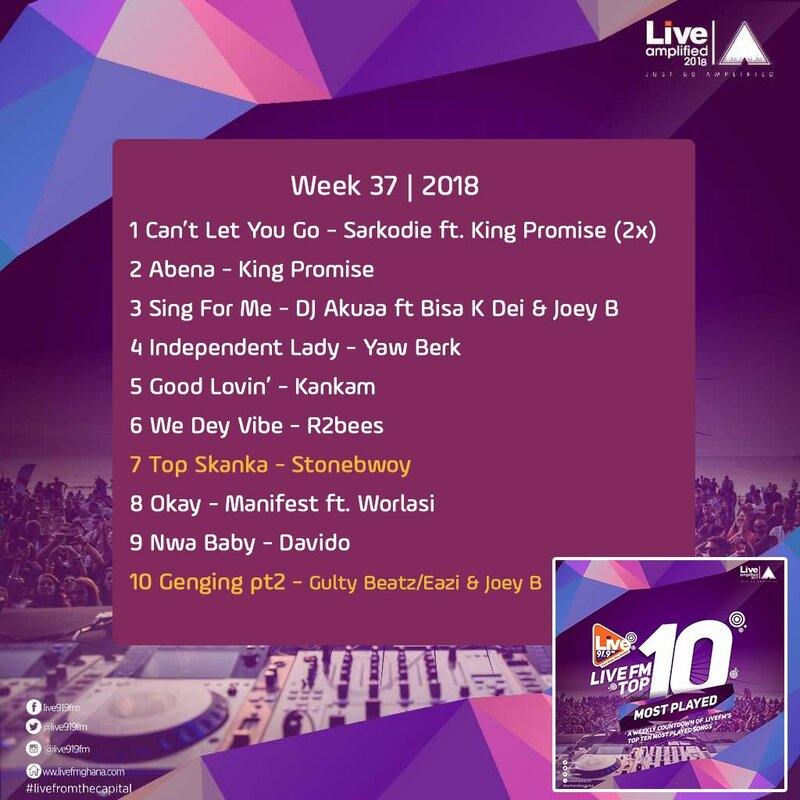 The song has maintained its number one spot on LIVE 91.9 FM‘s Top 10 Most Played chart. It entered the chart at number 7 three weeks ago. It features King Promise, and was released days after he married his then longtime girlfriend, now wife Mrs. Tracy Owusu Addo. The Gyo Gyimah-directed visual of the song gives viewers a behind the scenes feel of the rapper’s wedding to Mrs. Addo. Live FM Top 10 Most Played is curated from the daily playlist on shows on the Ring Road-based radio station. It airs on Route919, Live 91.9 FM‘s Drive show hosted by Antoine Mensah every Friday between 3 and 6pm. 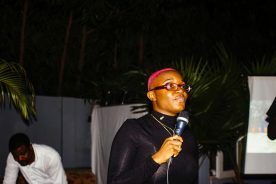 The Ring Road Central-based station and its presenters are credited with providing a platform for upcoming artistes, and also supporting the craft of established acts. The station’s programming and events is testament to its dedication to the growth of the Ghanaian music industry. The Live FM 0n-Air team includes Jeremie, Antoine Mensah, DJ Lord, Regina Krave, Jason, Sheldon, Micheal Sagoe. DJ Bass, DJ Isaac Cool, DJ Mingle, Terry Mingle, Jeshurun Okyere and Masta Jay.